← Will Urban Gardens Wilt Post-Recession? WHAT? Her doctor told her she would not be able to lose weight? How about educating her as to what great nutrition is, how carbs are what makes her gain weight? Or doesn’t this doctor (or other doctors) know how to educate their patients on nutrition? And if they don’t perhaps they should not be practicing medicine! My mechanic knows what fuel is best for my car and how to keep my engine clean and a doctor doesn’t know such basic info? I had a doctor tell me once he didn’t “have time” to educate his patients. I had another tell me there was NO PROFIT in teaching them how to get well to a high degree because then her patients wouldn’t continue to come in that average 7 times a year! In ancient China a physician was paid when his patients were well, when they got sick he didn’t get paid! Though Shani Gofman had been teased for being fat since the fourth grade, she had learned to deal with it. She was a B student and in the drama club at school. She had good friends and a boyfriend she had met through Facebook. She even showed off her curves in spandex leggings and snug shirts. When her pediatrician, Dr. Senya Vayner, first mentioned weight-loss surgery, Ms. Gofman was 17, still living with her parents in Bensonhurst, Brooklyn, her bedroom decorated with glow-in-the-dark stars because she was afraid of the dark. There was no question, at 5-foot-1 and more than 250 pounds, she was overweight. But she resisted, saying she could diet. “I’ll lose weight,” Ms. Gofman assured her doctor. 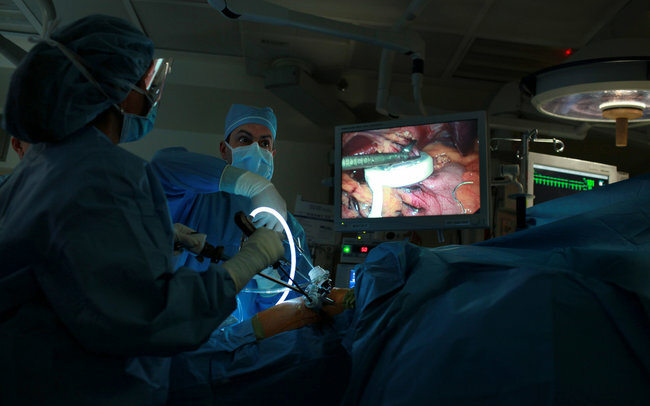 Along with the obesity epidemic in America has come an explosion in weight-loss surgery, with about 220,000 operations a year — a sevenfold leap in a decade, according to industry figures — costing more than $6 billion a year. And the newest frontier is young patients like Ms. Gofman, who allowed The New York Times to follow her for a year as she had the operation and then embarked on a quest to lose weight, navigating challenges to her morale, her self-image and her relationships with family members and friends.